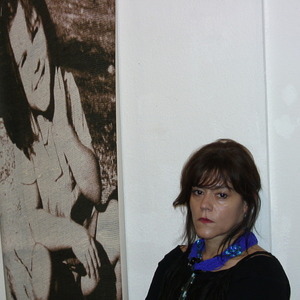 Dijana Tomik-Radevska Born in Skopje, Macedonia, 1961. Obtained BFA in 1984 from the Faculty of Fine Arts, Department of Art Printmaking and Graphic Design, Skopje. Member of Fine Arts Association of Macedonia since 1985. Residence in Dresden at the Open Graphic Studio in 1997. Since 1999 she is Official knight at the Accademia di Greci Marino - Italy, Departement of Art. Since 2007 Teaches Art at the IHS High School, Skopje. Designs and produces unique hand made carpets and kilims in limited edition in masterpiece studios in Macedonia.